With the hint of summer finally upon us, it’s a good time to get out and about in the community, and there are few better ways to do this than through volunteering. This year’s National Volunteering Week starts on Monday 14th of May and runs through to Sunday 20th May. In Co. Louth, events are being held at Bellingham Castle on Wednesday the 16th, and in Ardee, Drogheda and Dundalk on Thursday the 17th. The theme of National Volunteering Week 2018 is 'Volunteering Builds Better Communities', celebrating the important role that volunteers play in contributing to their local community, whenever and however they can. Here in Louth, volunteers of all ages, and from all walks of life, are currently involved in a huge range of activities - from sports coaching to first aid response, to tidy town cleanup and the Fleadh 2018 music festival. On Thursday 17th May, between 10am and 1pm, we are inviting members of the public to drop in to one of our Louth Volunteer Centre locations for a cup of tea (or coffee) and a pastry, and a friendly chat about volunteering opportunities in Louth. You will get the chance to meet existing volunteers, learn about the roles on offer, and ask any questions you may have. There is just a little over 100 days to the introduction of the EU General Data Protection Regulations - GDPR. On 25th May 2018, the responsibility and obligation for all organisations in how they collect, use and protect personal data changes. We all need to adhere to principles of transparency and accountability and review our data protection processes in terms of the information they collect such as people's personal details, i.e. names, addresses, telephone numbers. 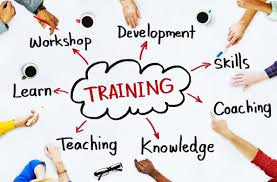 In partnership with Louth PPN we are facilitating free GDPR workshops for community organisations to learn how GDPR might affect your organisation and also to review your current data collection, processing and management to help you identify any changes you may need to make. 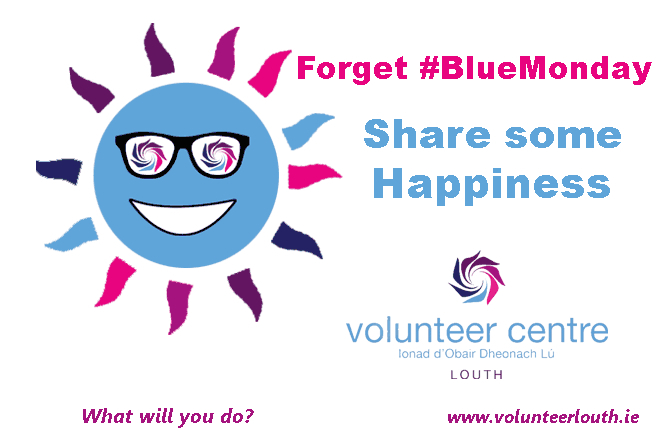 Don't let the January blues get you down this #BlueMonday, turn that frown upside-down by checking out the range of volunteer opportunities on www.volunteerlouth.ie! In our experience, a sure fire way to make yourself feel good is to do good. There is nothing like helping someone else to make you feel a sense of contribution to society, connection to our communities and improve our mood a little bit. There are many benefits to volunteering as we all know, and a lot of these benefits contribute to our sense of happiness and wellbeing. Last year, Volunteer Ireland conducted research into the impact volunteering has on the health and well-being of volunteers. The report concluded that volunteering has a positive impact on volunteers in a multitude of ways. You can view the report here. If you are feeling the effects of this #BlueMonday, why not take advantage of the physical, mental and emotional benefits of volunteering?? It can certainly take your mind off the long wait to the end of January, and it won't cost you a cent! I love to do volunteer job. 4 Months in the greatest remark I can make is I wish I had become active in attempting to alleviate the struggles of others sooner as their is no greater fulfillment than that of the gift of generosity.